On the initiative and with the support of the WWF of the "Ubsunur depression" nature preserve, more than five hundred schoolchildren and teachers became the participants of a beautiful holiday, dedicated to the irbis. 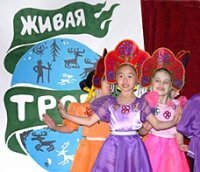 On 21-24 April, schoolchildren and teachers of the Erzin, Bai-Taiga and Mongun-Taiga kozhuuns (districts) - the main areas of irbis habitat - became the participants of a festival "Day of the snow leopard". 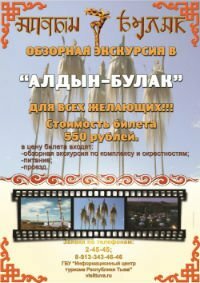 The holiday devoted to the preservation of the exceptionally rare species of animal is a unique event in Siberia. The closest region where a similar event takes place is in Primorie (Maritime Pacific region), which is the habitat of very rare Far East leopard and the Amur tiger. In April of this year, Tuva opened the season of this "feline" holiday for the first time. As part of the "Yagel-fest" festival, a real Tuvan shaman Nikolai Oorzhak came to Murmansk, together with his ensemble "Un-Khun". There were not many of those wishing to hear his healing chants, but those who did come had no regrets about wasted time. - I used to be a herder at first, then I wrote slogans - one had to support the party personally, - Nikolai starts the story about his gift. During Soviet times, really, one could not even think about this type of healing, and Nikolai had not been aware of having any such abilities. 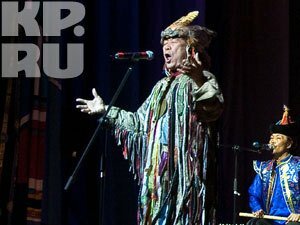 He worked at the National Theatre in Tuva, where he often met with masters of throat-singing - khoomei. The unique aspect of this art is that the performes produces two notes simultaneously, that is, he sings in two voices. There are many types of khoomei. 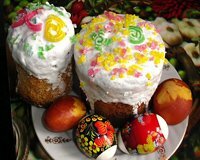 The entire world of Orthodox Christianity is celebrating the Bright resurrection of Christ - Easter. In Kyzyl, traditionally, the believers first attend all-night services at the Holy Trinity church. Easter, the day of the miraculous resurrection of Christ, is the culmination of the seven days of mourning - a week of remembrance of Christ's Way of the Cross. Every day of the Passion week has its own symbolic significance, and it is observed differently. There are church services every day. Today, horse breeders from the whole republic are coming to Chadan. In Tuva. 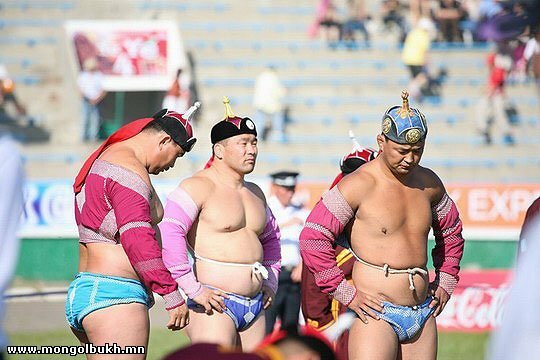 Tomorrow the 18th season of republican horse races opens in Tuva; it is the most popular kind of sport in the republic. Traditionally the route of the horse riders will take place at Bora-Bulak near the center of Dzun-Khemchik district - the town of Chadan. 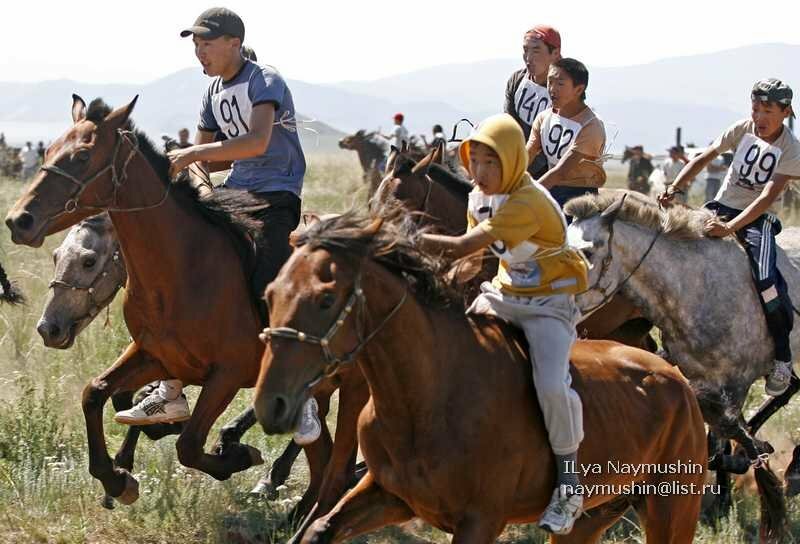 According to information supplied by the president of Federation of horse sport of Tuva, Eduard Dagba-Lama, more than 400 of just the riders of the race horses and horse owners are coming. Even more fans are expected, who will be using their own motor vehicle transportation. 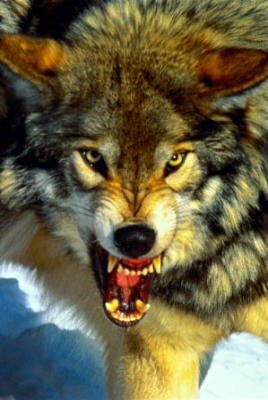 In Tuva, in the course of the first three months of 2011, 230 wolves have been destroyed, or 60% of the total number of the predators caught in 2010. The vice-premier of the republic, Valentin Endan informed Gov.tuva.ru about this; he is the government curator of village management in the republic. The matter of struggle with wolves was discussed today at a report of the course of the breeding campaign in the herding farms of Tuva. Struggle with the grey predators was designated as one of the relevant tasks in this campaign; since the beginning of the year, wolves have already killed 904 heads of small horned cattle, 92 cows and 35 horses.